Only 4,500 bicycle thefts were reported in Dublin in last year. 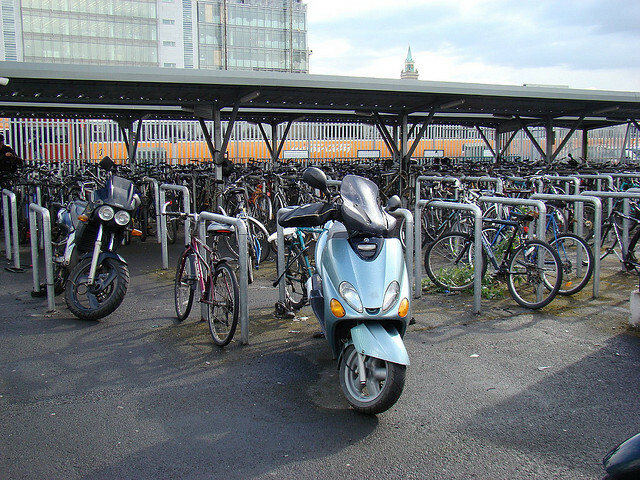 But based on Irish surveys and international experience the actual number of bike thefts in the city “is likely to be in the region of 20,000”, claims the Dublin Cycling Campaign. Around 75% of bicycle thefts in Ireland are reported in Dublin, however the crime is increasing elsewhere — as we have reported before, a boost in cycling popularity in Limerick has pushed bicycle theft up 70%. The Dublin Cycling Campaign says that it is calling on the Department of Transport, Tourism and Sport to set up the coordinating body to tackle bike theft — which should be seen as a threat to reaching government targets for cycling. “Bike theft is a low-risk, high-reward crime. If cars were being stolen at this rate there would be uproar,” said Keith Byrne, chairperson of the Dublin Cycling Campaign. Earlier this year 33 arrests were made in connection with bicycle theft in the capital, although the numbers are viewed to be a fraction of those involved with the crime. “Many people give up on cycling after their bicycle is stolen and it discourages others from taking up cycling as the word about the high risk of theft spreads. We need a co-ordinated multi-agency plan to tackle bicycle theft if we are to reach the Government target of 10% of journeys by bicycle by 2020, said Byrne. David Timoney, the campaign researcher, has been investigating the issue and researching how the problem has been tackled in other countries, in particular The Netherlands. He said: “We need a multi-pronged approach: a massive increase in secure bicycle parking throughout the city, more action by the Gardai to detect and deter bicycle theft, a tighter code of practice for buyers and sellers of second hand bikes online and more responsibility taken by cyclists in buying better locks, not buying second hand stolen bikes and always reporting stolen bikes to the Gardai”. The campaign has drawn up a code of practice for online sellers, buyers and bicycle shops. “Most important, however is the establishment of a state coordinating body to oversee the work of the various stakeholders — bike groups, Gardai, websites, shops, council, planners etc. International experience has shown that without this political commitment little can be achieved” says David Timoney. The cycling campaign is currently running a survey of cyclists to get more information about when and where bicycles are stolen — you can find that here.